ComCo Southeast Asia marks first year with major industry awards, new business wins and Camp ComCo mentorship program launch - Hello! Welcome to my blog! 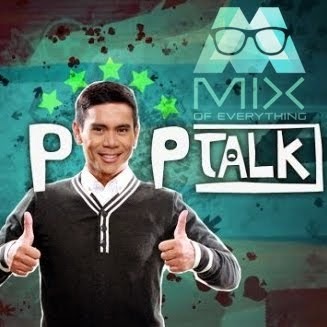 At the 15th Quill Awards, ComCo Southeast Asia bagged the Award of Excellence in the Social Media Program Category for “Bringing in the Fun in a Hot Election Season: The Vote M&M’S 2016 Campaign,” a social media-focused integrated communications campaign for M&M’S that maximized election inspired executions for the brand such as the engagement of influential bloggers as campaign managers of the three competing M&M’S Candy-dates, miting de avance, campaign jingles and posters, motorcade, press rounds and other online and on-ground collaterals. It also took home the Award of Excellence in the Marketing, Advertising and Brand Communication Category for “Igniting Brand Love – The Launch of ComCo Southeast Asia”. As ComCo Southeast Asia highlighted three core elements in its launch – New PR, Entrepreneurship and Southeast Asia market access, the company introduced its products and services through integrated brand communications to include public relations, social media, merchandising and B2B marketing. As ComCo Southeast Asia celebrates its first year, it continues to expand its portfolio of clients by winning new major accounts such as Bridal Gallery, World Vision, Oakley, Called to Rescue, Angkas motorbike hailing application, Reef and Eastern Communications. In its first year of operation, ComCo’s clients already included MARS Chocolates (M&M’s & Snickers), Electrolux, WWF, AirAsia, Goodyear, Lamoiyan Corporation’s Licealiz, TCL, Platinum Karaoke, Pioneer Insurance, United Nations Population Fund (UNFPA) and BPI-Philam Life Assurance. It has also worked on several award-winning projects such as the Snickers Don’t Drive Hungry Campaign, which bagged the Silver Awards in Creative Use of Media and Promo and Activation at the recently held Kidlat Awards and named Finalist in Best Use of Ambient Media at Spikes Asia. ComCo also worked for TCL’s Inspiring Bonding Moments Campaign in the Philippines, which was accorded Highly Commended in the Mumbrella Asia Awards. ComCo also recently launched the ComCo Mentorship Program or Camp ComCo, designed to discover and transform communication, marketing and multimedia students / fresh graduates into revolutionary professionals of the new disciplines of New PR and Smart Social. The three-month comprehensive industry linkage course and apprenticeship program seeks to awaken creative rebels and arm them with the skills they need to rise above the clutter and create groundbreaking and life-changing communication programs. Among the many disciplines included are courses in New PR, a strategy based, content driven and channel agnostic way of doing PR and Smart Social, a holistic and integrated approach in the maximization of digital and social channels, to effectively reach and engage audiences and help influence change. Presented in three phases, Skills Calibration, Strategic Communications Immersion and Specialization Elective, Camp ComCo curriculum is facilitated by ComCo Southeast Asia’s pool of marketing and communication experts and its network of industry practitioners in the region. Camp ComCo gives participants the opportunity to interact with experts in the field, work on actual communication projects and learn about the latest trends in the industry. A dream team commandeered by its Regional Integration and Executive Director Ferdinand Bondoy, this pioneering band of communications professionals has decades of leadership experience in the industry, has successfully managed more than 120 varied brands, and has won a staggering number of 41 awards. In photo are (from left): Tricia Cusi, Marketing and Intelligence Director; Rachel Syfargo, Brand Communications and Operations Director; AC Recio, Brand Communications Associate; Ferds Bondoy, Regional Integration and Executive Director; Harvey Llamosa, Executive Projects Associate; Christine Li, Internal Affairs Director; and Joan Icotanim, Brand Communications and Administration Director. “We are honored in what ComCo Southeast Asia has accomplished in its first year. We never imagined that we will grow this fast, service some of the biggest brands in the region and work alongside the major players in the industry. We are honored with the growing trust and confidence of our clients, partners and other key stakeholders. We take this as a challenge and inspiration to continue in igniting brand love and social change together with our partner brands and organizations. 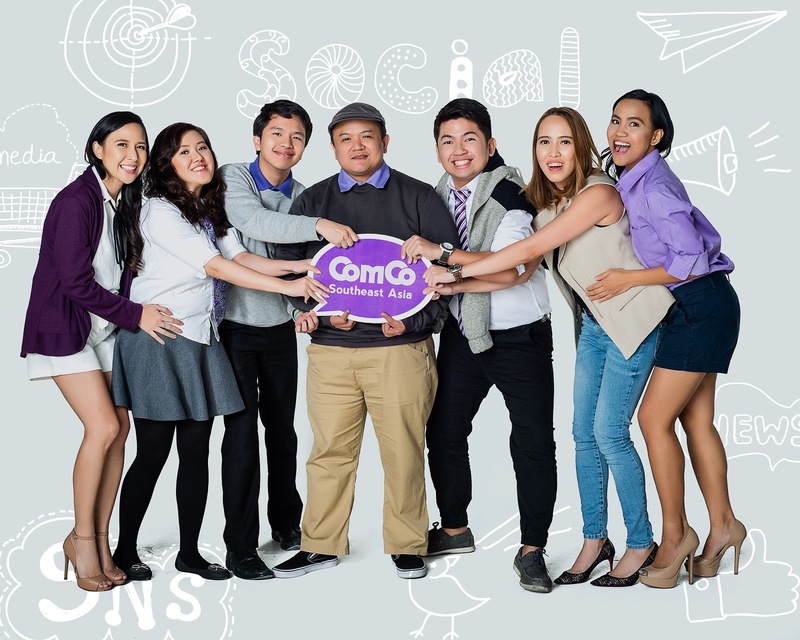 And with the formal launch of Camp ComCo, igniting talent becomes our solid commitment too,” said Ferdinand Bondoy, Regional Integration and Executive Director of ComCo Southeast Asia. ComCo Southeast Asia looks forward to helping more businesses and brands ignite brand love and social change among its stakeholders and customers as it launches its new website www.comco-hq.com, which not only includes more details on their services and recent campaigns but includes content and articles to help brands and marketers build their business. ComCo has also moved to its new office on the 32nd floor of BPI-Philam Life Building in Ayala Avenue, Makati. To find out more about ComCo Southeast Asia and Camp Comco, check out www.comco-hq.com, linkedin.com/company/comco-hq or its official Facebook page at www.facebook.com/comco.southeastasia. It is also on Twitter and Instagram with the handle @comco_sea.